One of the biggest turn-offs about quilting is the time it takes to make a quilt. Sometimes a quilt can take months to make – maybe even years! 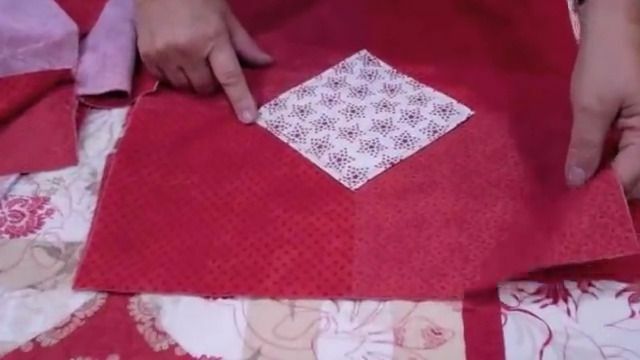 With the 10-minute quilt block technique, though, you can make a quilt in a fraction of the time, and it looks just as good as if you had spent months slaving away on it. You can make a quilt block of any size using Suzanne McNeill's method, and you can use any kind of material you want. It is a perfect way to complete a quilt quickly, without making it look like you cut any corners. The technique is simple, fast, and easy to master, so there really is no downside! Let’s get started by taking a look at the process. Pro tip: For this block, you can use practically any size fabric squares to make your quilt block, but the bigger your squares, the bigger your quilt block will be, and the fewer you will need to make for your finished quilt top. 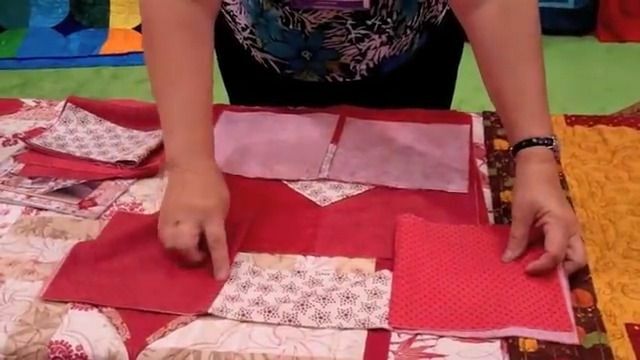 If you play your cards right, you could use the 10-minute method to make a whole quilt in under two hours! 1. Gather up the five squares of material you would like to use in your quilt block. Four will be on the outside of the finished square, and one will turn into a diamond in the middle, so plan your placement accordingly. 2. Fold the square you would like to use as the center square (or diamond, since it will be turned at an angle) in half. 3. Take two of the other squares, and sandwich the folded piece between them. 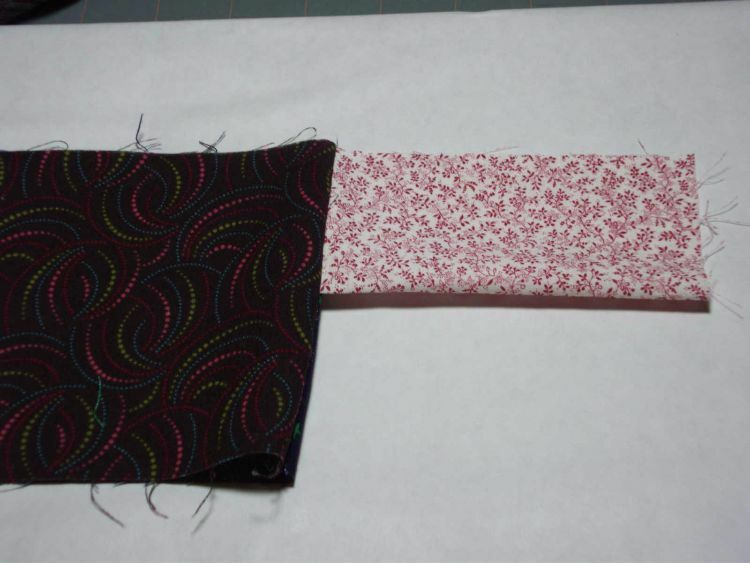 Sew the two folded pieces together on their right sides, sewing the right side of the folded square between them as well (Judy of Judy’s Quilts and Things blog recommends using a scant 1/4th seam allowance in this and all quilting projects). When you unfold the "sandwich," it should look like the image above. 4. 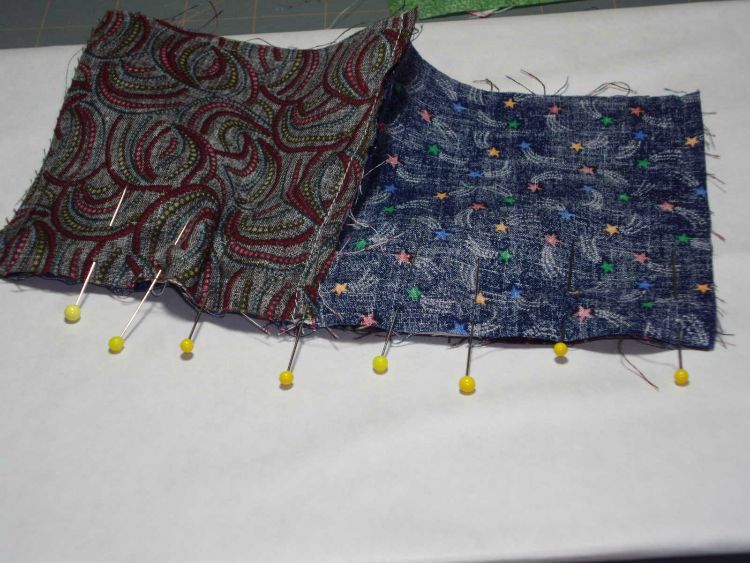 Take the remaining two squares of fabric and repeat the process on the left side, creating a piece that looks a bit like a bridge, as shown. 5. Open up the squares on either side and refold the piece, bringing the ends of the opposite squares together to make a rectangle, as seen in the video. 6. The next step is a bit tricky. Your original folded square is now sandwiched between the bigger rectangles again. Reach inside the sandwich to find the folded piece, and open it up, making a pocket on the inside of the piece. Once the pocket is open, flatten the piece again, and pin the edges of the rectangle in place. 7. Sew along the seam you created, then open up the square to reveal the diamond in the middle. 8. Use an iron to press the block flat, pressing the seams open (Pressing makes the block easier to work with for the last step). 9. When the block is flat, all there is left to do is anchor your diamond to the top of the quilt block. Using a topstitch, sew the outer edges of the diamond to the blocks beneath it. Once that is done, your block is finished, and you’re ready to move on to the next one! And… time! 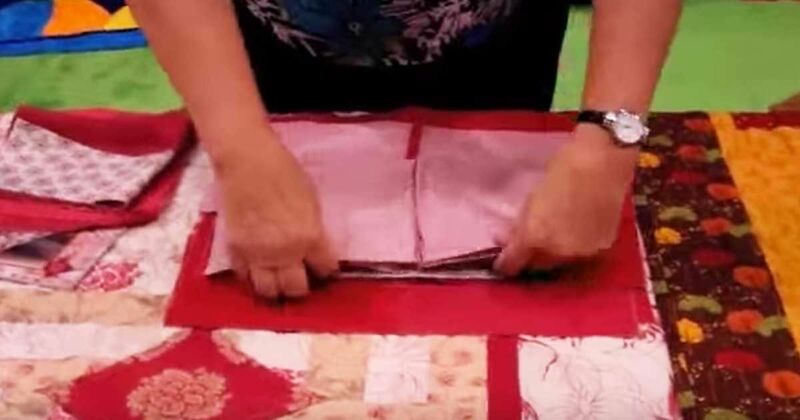 Were you able to make your quilt block in ten minutes or less? If this technique gave you a need for speed, you can find more patterns you can make in ten minutes or less on the Stitch This! page of the Martingale blog.